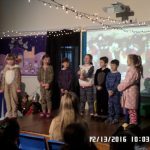 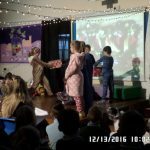 Y3 & Y4 present… Christmas Eve Kerfuffle! 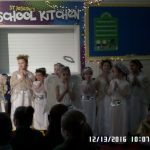 It’s that time of year again when the school corridors are covered in feathers (angel wings!!) 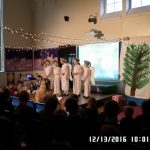 & glitter and the hall resounds with Christmas songs – it can only mean one thing, our annual Christmas musical! 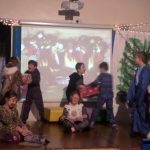 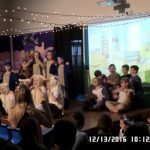 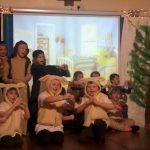 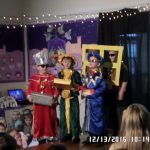 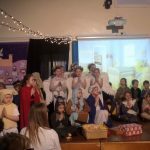 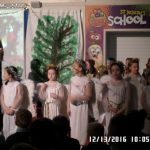 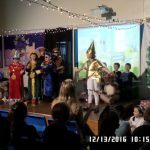 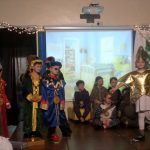 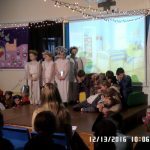 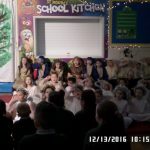 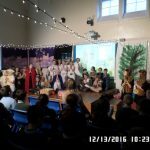 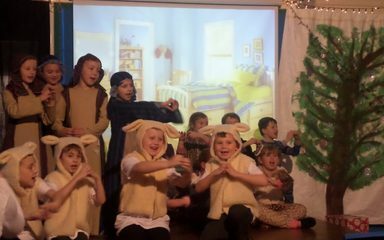 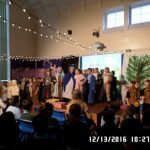 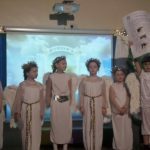 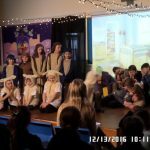 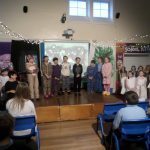 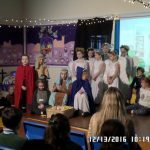 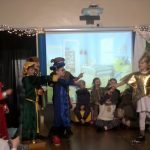 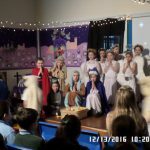 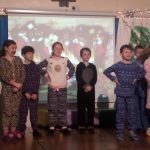 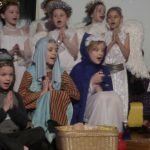 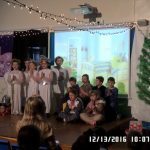 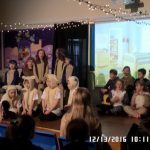 ‘Well done to classes 3 and 4 on a magnificent performance – the singing and acting were outstanding – we have a whole host of stars in the making!’ Mrs McDermott (Head Teacher).